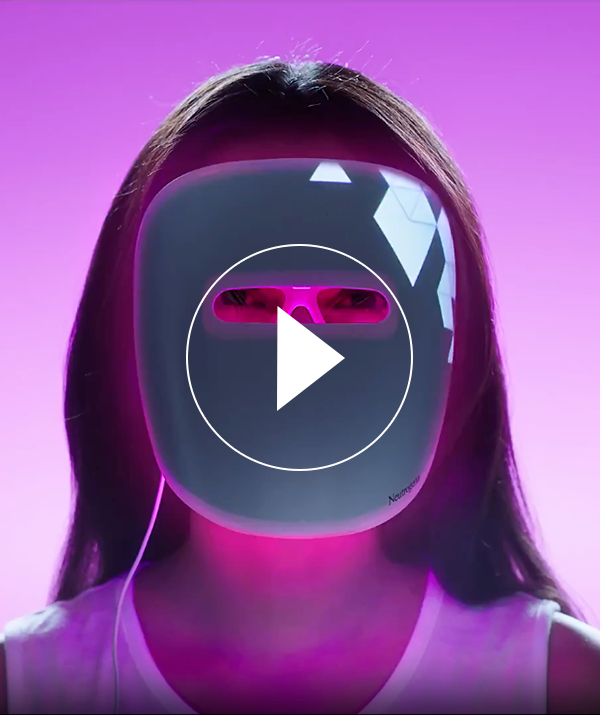 Turn On the Light, Turn Acne Off™ With dermatologist in-office technology, Neutrogena® Light Therapy Acne Mask is a revolution in acne treatment. Free of chemicals and UV light, this face mask harnesses the power of clinically proven light therapy technology to clear acne and allow skin to heal itself. Use every day for clearer, healthier skin. Visible results in as little as 1 week with results improving over time. Data on file, Johnson & Johnson Consumer Inc. 12-week clinical study. With dermatologist in-office technology, the spot treatment uses targeted light therapy to treat breakouts faster, more gently than other spot treatments. It doesn't use harsh chemicals and leave residue or flaking behind. Use it anytime - anywhere! "The Light Mark is revolutionizing how we treat acne at home."